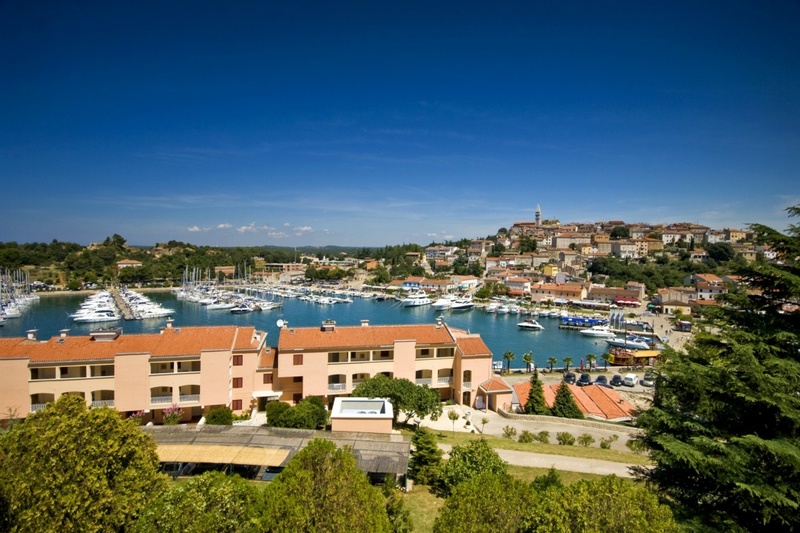 Vrsar is a typical maritime settlement situated on the western shore of Istria. With its two millennia long history, numerous historical and cultural monuments, amazing natural beauties, crystal clear sea and unique calendar of events; this formerly peaceful fishermen’s settlement is now among the most beloved tourist destinations in this part of Europe. Surrounded by the immense natural beauties, Vrsar is an oasis for peaceful and invigorating vacation. A magnificent view of archipelago consisted of 18 islets opens directly in front of Vrsar's shores. The islets are uninhabited and easy to reach by boat. They are full of untouched beaches and hidden coves ideal for undisturbed relaxation by the sea. Other natural wonders of the Vrsar area include 140 years old hornbeam forest, a protected natural reserve Kontije; Romuald’s Cave with the oldest early human remains in Istria and the Baredina Cave full of geological and speleological wonders worth exploring. Over 2000 years of Vrsar’s history are imprinted into the city’s architecture; from early prehistoric times until the present day, there is a visible continuity in the city development. A leisure stroll down the city streets will expose ancient Roman summer houses, early Christian basilicas, Romanesque gates, medieval forts and baroque palaces. Vrsar has a diverse selection of beautiful beaches; from pebbly coves to sand covered children paradises; there is a choice for every preference. The main city beach has an elevator providing an easy sea access for the disabled persons. Apart from swimming, you can enjoy a variety of water sports and activities as well as team sports, cycling, caving, diving and free climbing. Vrsar is among the rare Croatian tourist destinations with its own small airport for recreational flights. If you enjoy flying, be sure to try a panoramic flight over the Istrian area. You can choose among a wide selection of accommodation options; from luxury hotels to nature-oriented camps. Vrsar is famous for its modern naturist camp Koversada, considered to be the biggest and best equipped tourist resort of its kind in these parts of Europe. If you enjoy sailing, apart from numerous well protected bays and coves hidden along the well-indented coast; Vrsar has an excellent state of the art equipped marina. It is suitable to accept bigger vessels and has been a recipient of many international awards and certificates throughout the years. Through the rich repertoire of summer events, Vrsar unveils its dynamic face. The entire tourist season is filled with music festivals, cultural events and sports tournaments. Perhaps the most unique event of the summer is the Casanova Fest, held to honor love and romance. The festival is based on memoirs of the famous adventurer and lover Giacomo Casanova, who allegedly visited Vrsar on a few occasions. It brings exhibitions, movie projections, concerts and tasting of the aphrodisiac dishes. You can enjoy frequent Fishermen’s Nights celebrating the local fishery tradition or several classical music concerts and festivals. The central event of the summer is the Montraker Live Festival hosting numerous local and international jazz, blues and rock musicians. Find information about selected Hotels, apartments and rooms in Vrsar to choose the perfect place for your accommodation.